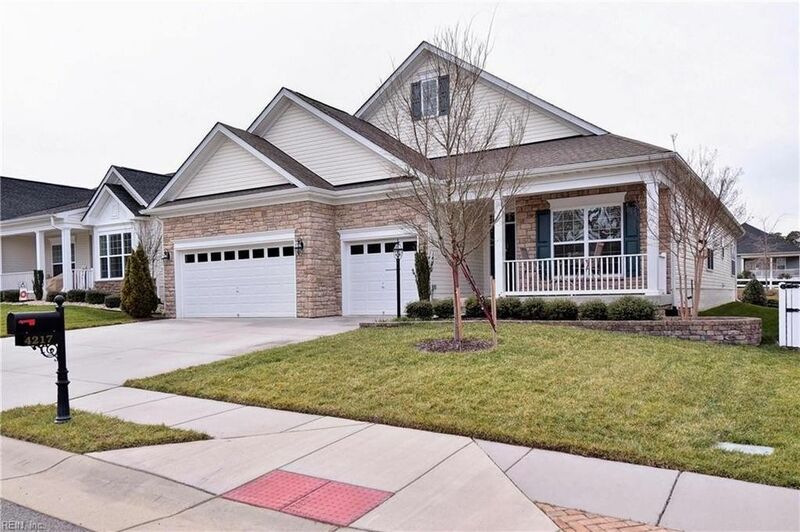 Stunning Ranch with a 3 car garage in Colonial Heritage Active Adult 55+ community has 3 bedrooms and 3 full baths. Gleaming hardwood floors and crown molding. The Great Room is flooded with natural light and has a cozy gas fireplace. It's open to the kitchen! There is a Dining Room that can be formal or casual. The eat-in Kitchen features granite counters, stainless appliances and has a breakfast bar, gas cooking and pantry. There is access to the patio off the kitchen. The SPACIOUS Master suite has a walk-in closet, large bath with walk-in shower, garden tub and double sink vanity. There is also access to the patio! The 2nd Bedroom has carpet & a walk-in closet. The 3rd Bedroom has hardwood flooring. Wide entry foyer. Rocking chair front porch and pretty lot. Directions: CH Gate. L on CH Parkway, L on Wedgewood.